Bodhi Bicycles was in operation from 2011 through 2014, based out of Fort Worth, Texas. 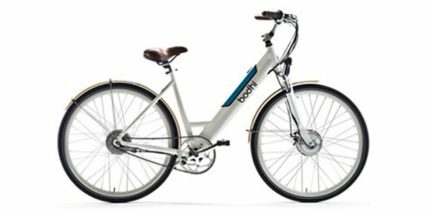 They offered a range of lifestyle electric bikes with unique bamboo accents, comfortable seating and handlebar position and continuously variable transmission integration from NuVinci. Official blurb: Our name, Bodhi, comes from the Bodhi tree, an ancient fig tree – one of the oldest in the world – that has come to symbolize a spirit of awakening and happiness. 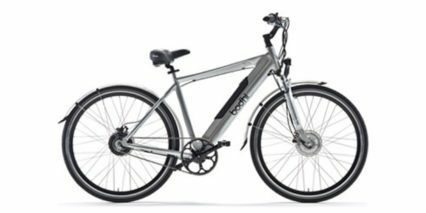 We are passionate about accessorizing your active lifestyle – with our flagship product line of elegant electric bikes and cool gear – to add some exhilaration… and acceleration… to your journey. We invite you to experience the bliss of endless freedom with Bodhi Bikes.